The valVario measuring orifice VMO is installed in gas control and safety systems, as well as in air systems used in industrial and commercial gas heat generation. 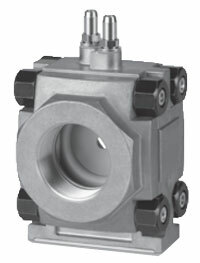 It can serve as a restricting orifice when used in conjunction with valVario gas solenoid valves. The test points are located in the measuring orifice housing. The measuring orifice VMO is a good-value alternative in areas where no standardized measuring orifice is required. The replaceable washers with different hole sizes allow the orifice to be adjusted perfectly to the local operating conditions. *Contact Combustion 911 for other orifice sizes.